news Global IT services outfit Dimension Data has announced a new range of global cloud services, simultaneously revealing it has signed up the Australian Centre for Advanced Computing and Communications to use the platform. 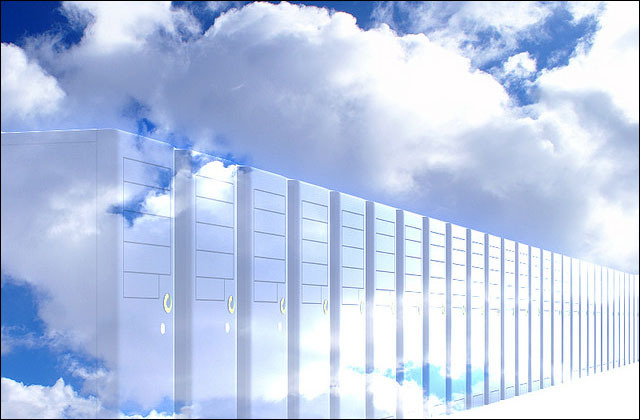 The new Dimension Data Cloud Services, according to a statement by the company issued late last week, will enable customers to be more agile, lower their IT infrastructure management expenses and minimise the complexity of cloud migration. Dimension Data’s Managed Cloud Platform (MCP) is the global delivery platform for all its cloud services, and Dimension Data Cloud Control is a cloud management system that automates provisioning, orchestration, administration and billing. The two services are now going to be utilised by ac3 (Australian Centre for Advanced Computing and Communications) under a new contract between the two companies. ac3 provides IT infrastructure management services to clients including the NSW Government. It offers a wide variety of managed services including operating systems management, database administration, network and security management and storage management. DiData said its new cloud suite is designed to address the many requirements of an organisation’s path to the cloud, whether at the beginning of its usage of cloud and virtualisation, or well on its way to leveraging the benefits of self-service, hybrid cloud models. The primary claimed advantage of using Dimension Data’s Cloud Services is that all services are delivered on the same platform making it easier and more cost-effective to expand from one cloud model to another when the demands of the business change. Dimension Data’s MCP will be a key part of ac3’s Infrastructure as a Service (IaaS) offering along with storage, data management and perimeter security services. The pre-configured infrastructure, according to the company, provides ac3 access to an orchestration layer for the deployment of cloud infrastructure that will allow ac3 manage its clients’ migration to the cloud more effectively. In its media release, DiData said its cloud services would range across a number of areas, from advisory and consulting services to cloud systems integration, to public, private and hosted private compute-as-a-service offerings, to managed hosting and managed services, to applications services. Not since CSC Australia issued a media release claiming it was offering “on-premise private cloud” has an Australian IT services organisation issued a media release so full of complete and utter waffle about cloud computing as DiData did last week. The company ought to be ashamed about the lack of technical detail which it included in its statement about its new cloud offerings. DiData is a great company. Out of all the systems integrators and IT services companies in Australia, it’s one of my favourites. And I regularly hear good things about them from end customers (chief information officers and the like). However, the media release which the company issued this week announcing its new suite of global cloud services said absolutely nothing about what the company will actually be providing and simply appeared to cram in as many mentions of the word “cloud” as was humanly possible. For the record, it was 71 times in one media release. That’s just a start. I’ve got plenty more questions where those came from. If someone from DiData wants to get in touch (perhaps in the comments below this article) to provide some illumination on the situation, that’d be great. Image credit: BasicGov, Creative Commons. Opinion/analysis by Renai LeMay.